The fire hall was built in 1903 and was active until 1990. Designed by Alexander and William Melville, it is one of five fire halls built that year. 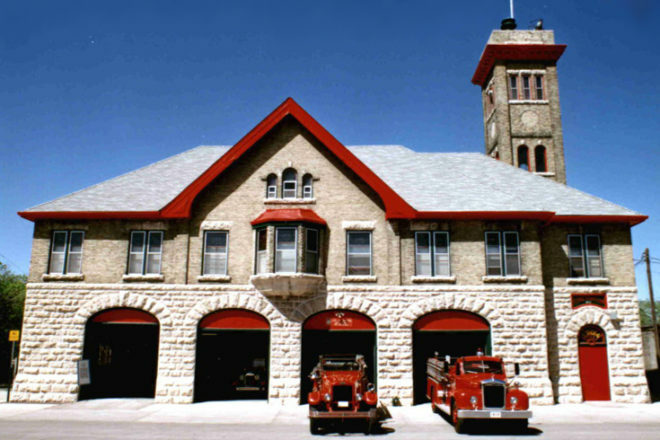 Eventually, its building plan was used for 14 of Winnipeg’s fire stations. The station is a two-storey brick building with a one-storey stable that originally housed 12 horses, a hayloft, an oat bin, and a harness room. Four poles were used to carry the fire fighters to the main floor upon receipt of a fire alarm. The 75-foot tower was used for drying fire hose.